DIRECT FROM LOURDES - 925 Sterling Silver St. Christopher Necklace. 925 Silver St. Christopher necklace. 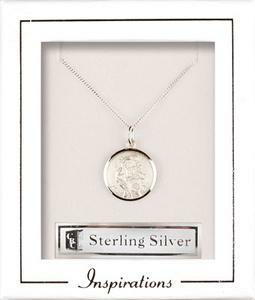 The sterling silver medal is: 1/2" and the chain measures 18" Chain.